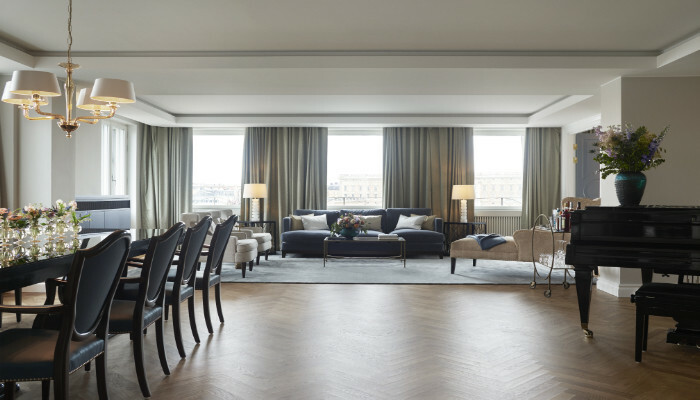 Grand Hôtel in Stockholm has been renovating for quite some time and the luxury suite ‘The Princess Lilian suite’ of 330 m2 is now ready. 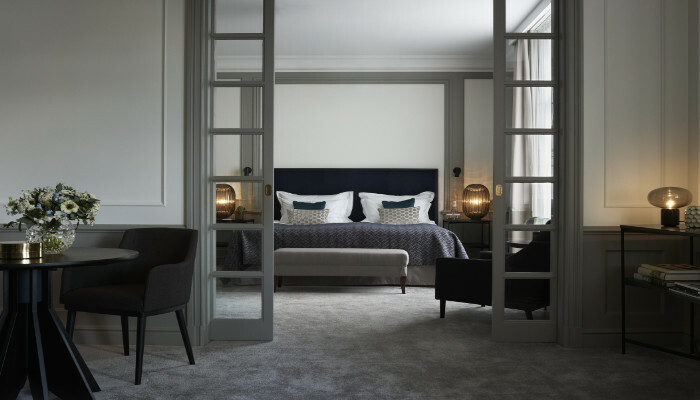 What a beautiful space, designed by Sanna Nathanson. 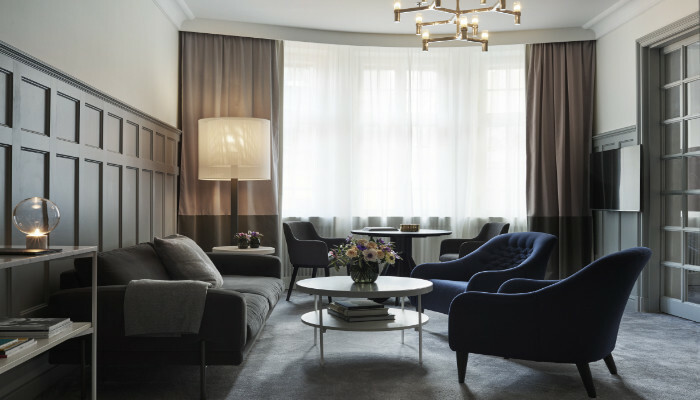 Here Grand Hôtel has created an exclusive yet cosy home away from home featuring two bedrooms, a living room, library, kitchen, relaxation area and a private cinema. 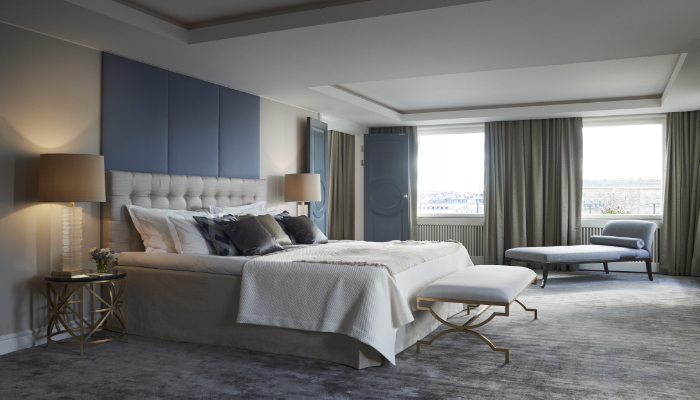 In their own words they describe the suite as following -Staying in the Princess Lilian suite will never be “just another night at the hotel!” It sure won’t by the looks of it. We bet all the big artists will stay here in the future when they come to Stockholm for concerts. It even has its own entrance and elevator. Privacy is key!